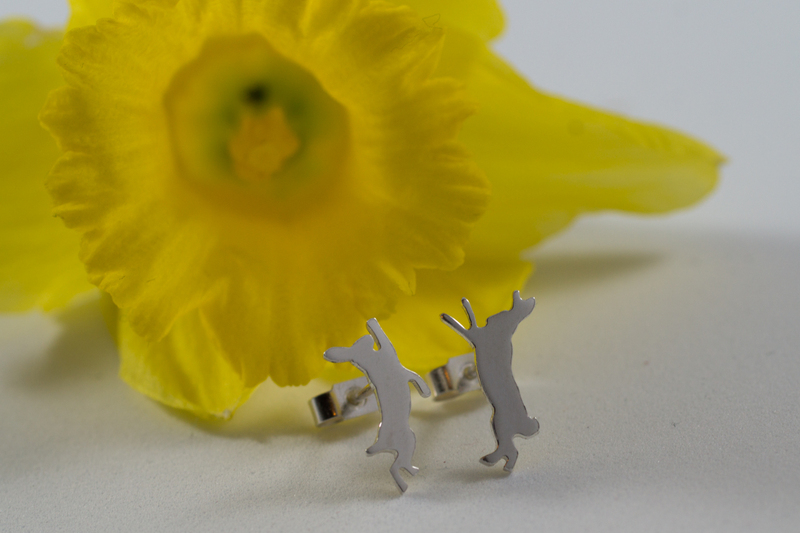 Fittingly my animal of the month for March is the mad March boxing Hare, available now in sterling silver cufflinks and earrings. And photographed with a daffodil for St Davids Day! Did you know it is usually the doe (female) that initiates the boxing when she’s had enough of the buck following her around and turns around and lets him know how she feels about it! Good for her!